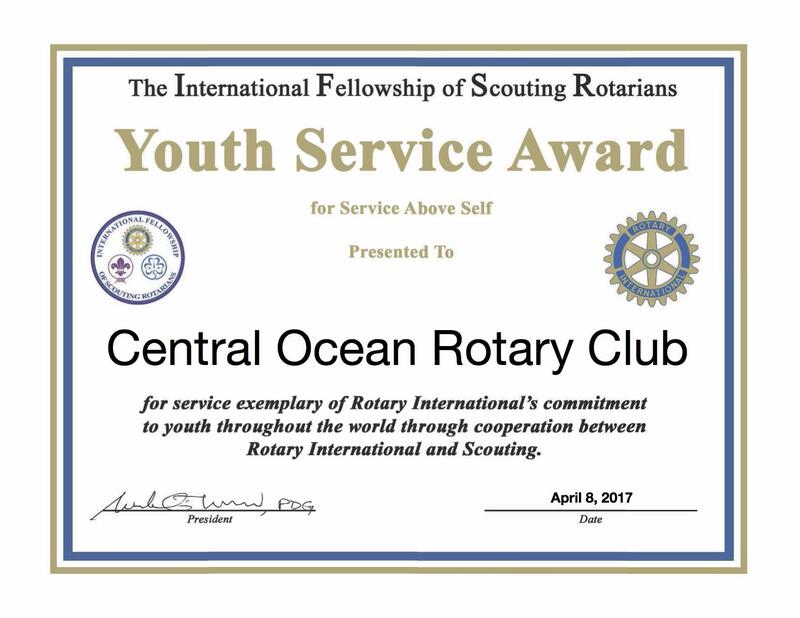 Our club was granted the Youth Service Award from the International Fellowship of Scouting Rotarians for our service project assisting on Beaver Day with the Jersey Shore Council Boy Scouts of America on April 8th. We are proud to help promote scouting. Thanks so much to club member Jerome Townsend for giving us the opportunity to serve.